Building a Sustainable Future for All! 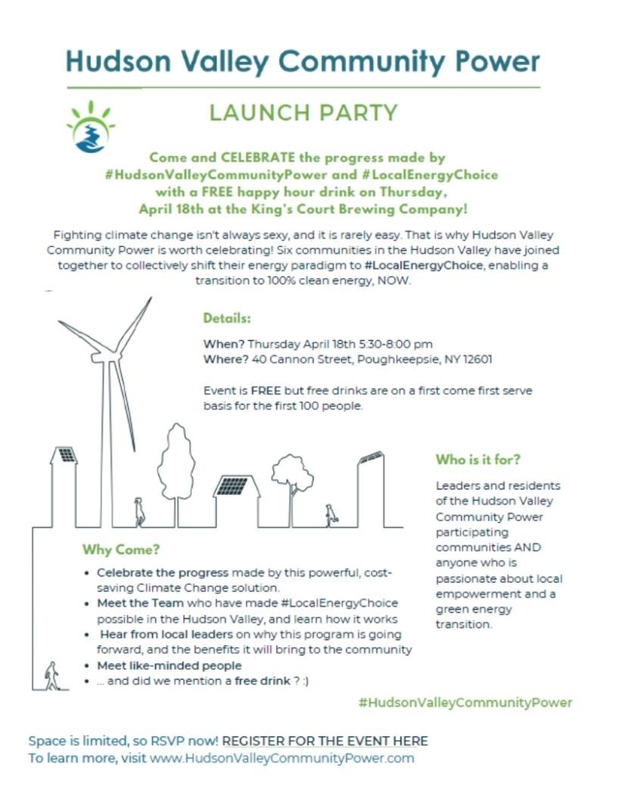 Join us for an update/celebration on the Hudson Valley Community Power program on Thursday, April 18th at 5:30 pm at the Kings Court Brewing Company in Poughkeepsie. All six of the initial communities have committed to price discovery phase of the Program and the Joule Community is hosting the gathering to celebrate the achievements of this powerful Climate Change solution. The event is catered being catered by Mole Mole Mexican restaurant and everyone’s first beer is free! Come discover and shop, indoors and outdoors, from talented local artists, makers and independent vintage and antique dealers who creatively use recycled materials to make incredible jewelry, fashion, furniture, art, home accessories, and more. Others creatively use sustainable and fair-trade materials to locally make beauty and skincare products, clothing, children’s accessories and toys, and artisanal foods. 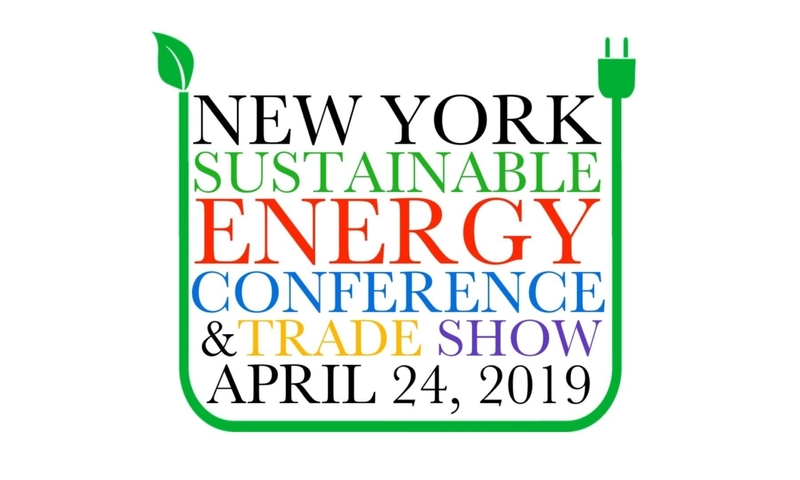 The show will also feature nationally-recognized expert speakers who will be presenting on various types of non-fossil fuel sustainable energy systems, advanced construction techniques and the marketing of “green” projects that utilize sustainable energy. 24apr5:30 pm8:30 pmHudson Valley Tech Meetup - Earth Week! 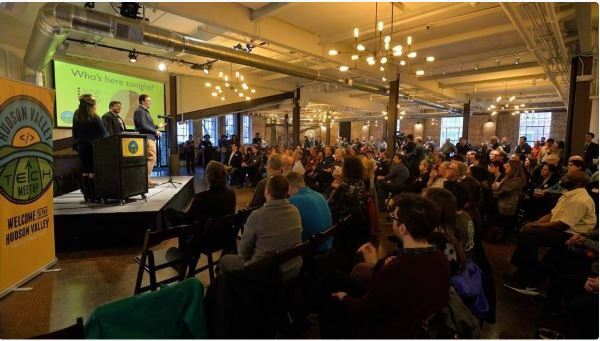 Save the date for the second Kingston Hudson Valley Tech Meetup of the year! In honor of earth week, we will have some special speakers who are working hard on green initiatives in the Hudson Valley. 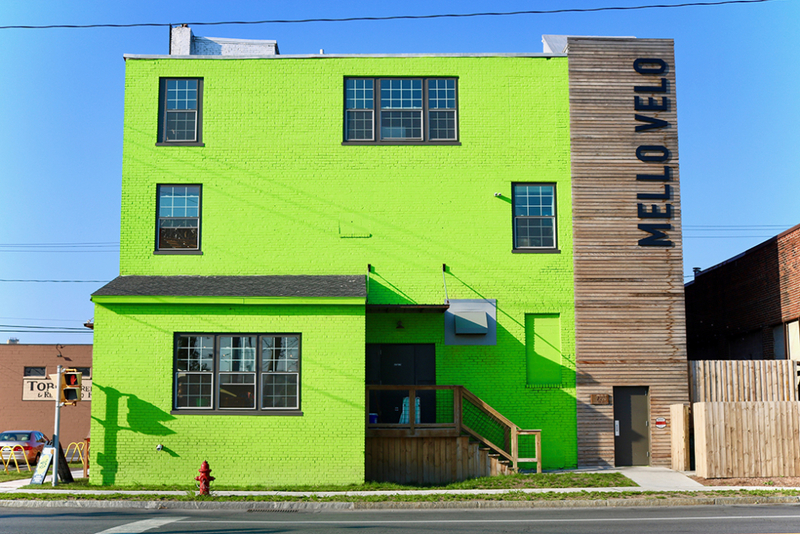 Join us at Mello Velo Cafe on Thursday, April 25th from 5:00-7:00pm for a special Green Drinks Syracuse Earth Month Celebration! We will be highlighting two awesome CNY initiatives doing wonderful eco-things for our community: HeatSmart CNY and Syracuse’s soon-to-launch-bike share program. And….Feel free to bring any materials on environmental efforts you support! Look forward to celebrating together! 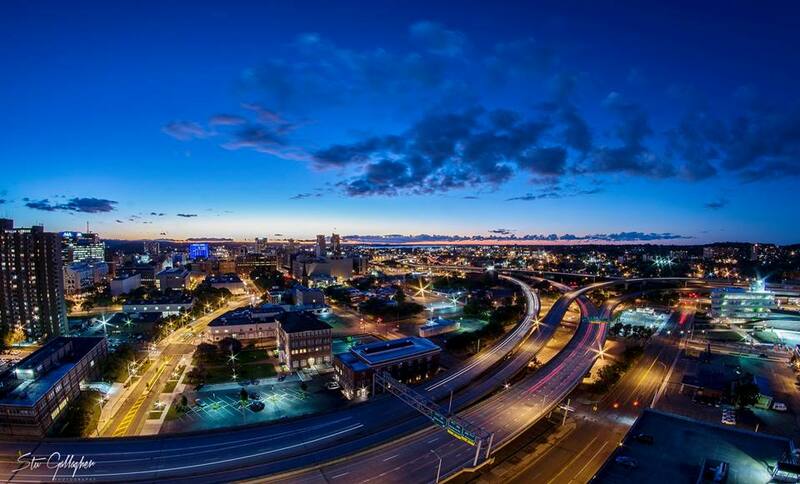 This event will highlight all you need to know about going net-zero through electrification. This Ride and Drive event at the Skaneateles Village Hall will let you experience electric vehicles and Level 2 electric vehicle charging stations first-hand. EV drivers will be available to answer questions and discuss their experiences. Tours will also be available through the Skaneateles Village Hall, the first net-zero municipal building in New York State. The building is powered by solar electricity and heated and cooled by a geothermal system. The Earth Day Fair is a free, interfaith celebration of “green living” and sustainable ways of caring for our Earth and its inhabitants. 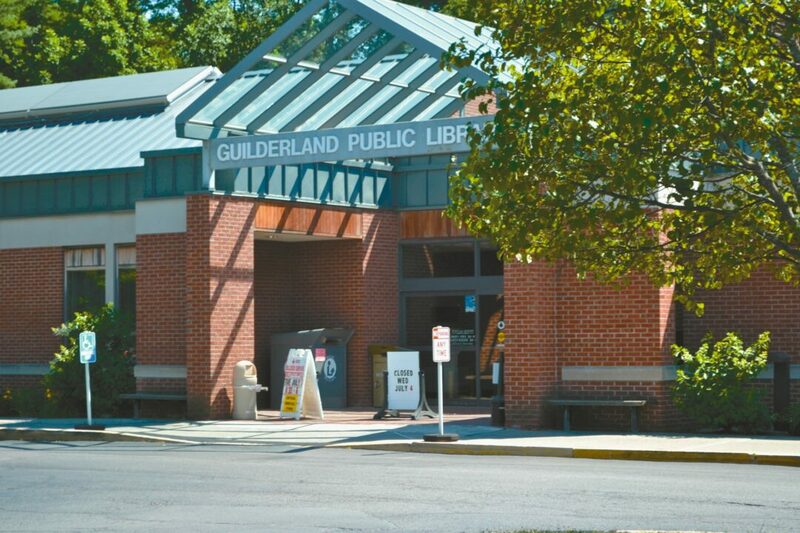 Enjoy music, demos, children’s activities, and healthy food! Both will be held rain or shine. We are proud to be again be partnering with SUNY Broome, the Binghamton Zoo at Ross Park and the Roberson Museum and Science Center. Each venue is offering discounts if you show up with a stamp from any of the other two venues: the Roberson Museum or the Binghamton Zoo is $2 off their tickets and you can get a free admission to Earth Fest! The SUNY Broome Ecology Club will be operating a Book Exchange and Clothing Recycling Drop-off program for the event. Fuel-efficient cars will also be on display. As always, there will be live music, food, magic shows, hands-on children’s activities, crafts, demonstrations, and free give-a-ways. We also feature a River Trails Bike Cruise organized by the Southern Tier Bike Club. Earth Fest draws over 1,000 visitors and each year we widely publicize the event to reach an even greater community. Your involvement in Earth Fest helps support Earth Day Southern Tier’s mission by increasing public education and awareness of environmental concerns and the programs, products, and technology available to green the Tier and the planet. Together we can realize a better today and a sustainable, more healthy tomorrow. ADMISSION: ONE DOLLAR OR CHOW DONATION. Click the sun to GO SOLAR!